Smoking continues to be a subject that causes concern and debate for many people. It cannot be suggested that smoking has anything but a negative effect on the body, including putting the heart and blood vessels at great risk of injury and disease. It has been reported that smoking alone is responsible for at least 20% of all heart disease around the world. It is, however, difficult to ascertain the definite figures as many smokers continue to live in ignorance of their high blood pressure and heart disease. Smoking causes the cells to constrict, which has the effect of narrowing vessels, causing an increase in workload for the heart and a consequential drop in oxygen content around the body. Nicotine also causes palpitations and can contribute to the heart muscle not functioning to its full ability. The carbon monoxide found in cigarettes also prevents the ability of the red blood cells to carry oxygen, which leads to other cells in the body becoming oxygen depleted and therefore not able to function as effectively as they should. Another of the great risks involves the role of the chemicals found in cigarettes raising the stickiness of the blood. Platelet and fibrinogen levels found in the blood are found to increase in smokers, this causes the blood to thicken and collect in the vessels, which, in turn, allows fatty deposits to build-up. This is very dangerous and can significantly contribute to the likelihood of angina, heart attack and death occurring. As ever, a subject of great debate, giving up smoking is one of the singular most important ways of protecting the heart and blood vessels from disease.Manufacturers and specialists have spent billions of pounds and many years researching this area and have developed many methods designed to help people stop smoking without causing too much distress. Nicotine replacement therapy is a very well used and successful way to help people quit smoking. Using chewing gum, nasal and oral sprays, skin patches and other methods the person receives nicotine without being subjected to the dangerous substances found in cigarettes. The dose can be controlled and reduced as the individual feels they are gaining more control over their habit and craving. Often not the most successful method, going ‘cold turkey’ means the individual simply stops smoking and uses no support mechanism to help them stay free from tobacco. Many experts agree that this is not the best method as individuals who have employed this technique are often seen to relapse soon after. Hypnosis is seen by many as a very reliable method for changing thought processes towards activities, people or surroundings. It can be successful as the person alters their perception and enjoyment of smoking by thought processes and suggestions introduced by the hypnotherapist. It is vital that the therapist specialises in the area of addiction and is fully qualified to carry out hypnotic procedures as it can be dangerous and very expensive if is doesn’t work. Whichever method a person chooses to try and give up smoking, it is essential that they receive support and encouragement from those around them. 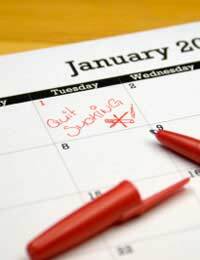 Positive thinking and a desire to quit will help achieve the ultimate goal of becoming an ex-smoker. Support groups, whether in person, on the phone, at the hospital or clinic or from the Internet can all help the person succeed in their pursuit and when help is offered it should be taken to ensure the highest degree of success is achieved.